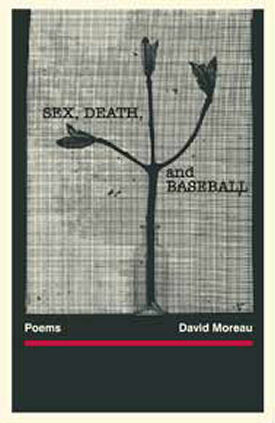 David Moreau manages the considerable feat of being utterly real and good-natured at the same time. He evinces great heart and great honesty and his poems show us that fearless poetry doesn't have to pose, to be fully human is more than enough. I will not die tonight. and we will keep each other warm. like the boy on the news. for him in the cold water. He will call, "Daddy, can I get up now?" For the moment I hold a winning ticket. I fill my basket carefully. I am headed to the earth. an old path not marked on any map.